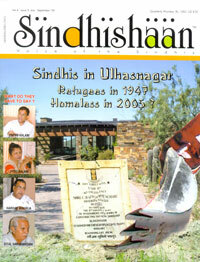 Congratulation that the word “Sindh” will remain in our National Anthem. The entire Sindhi Community is jubilant over the decision and our Supreme Court is correct to call it as publicity stunt and fined the applicant. Along with others, you too had put efforts in the issue. It is good of you that in spite of heavy work load you took out time to fight for the cause. Sindhi Community is thankful to you. And now, you have taken up yet another cause of Sindhi Community that of “Sindhu Darshan” I am sure you will have great success in the matter. If I can be of any use, please feel free to write to me.